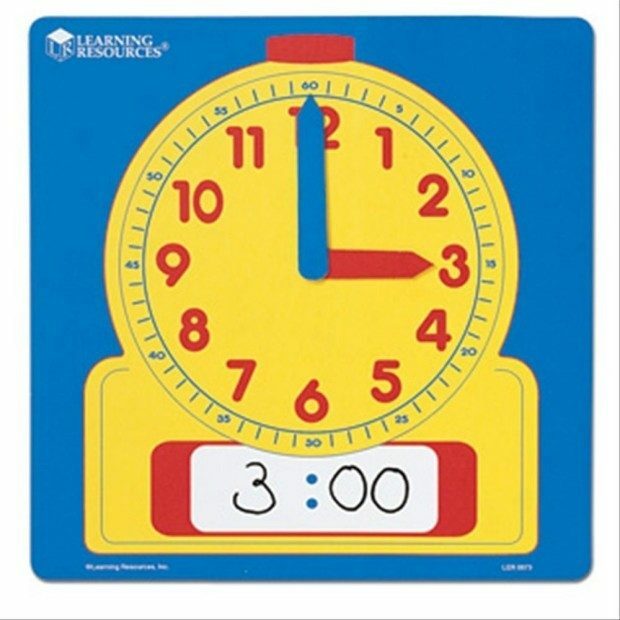 Learning Resources Write-On/Wipe Off Demo Clock Only $5.99! You are here: Home / Great Deals / Amazon Deals / Learning Resources Write-On/Wipe Off Demo Clock Only $5.99! This teaching clock has gotten really high reviews and it’s at its lowest price ever on Amazon! Pickup the Learning Resources Write-On/Wipe Off Demo Clock Only $5.99! This clock is very similar to the one used in my grandson’s classroom!